Standing Rush, LLC was founded as a conservation real estate company that specializes in the biological restoration and long term preservation of ecologically sensitive areas in northwest Ohio. Standing Rush is not an anti-development organization. Rather, it promotes traditional development where it makes sense and encourages conservation in natural areas that have unique biological value. In February 2015, Standing Rush secured just over 600 acres of land and water located on the south shore of Sandusky Bay (Margaretta Township/Erie County, Ohio), just south and east of the Village of Bay View. Limited resources had been available to manage the property since the mid-1980s. Therefore, portions of the site require significant rehabilitation to maximize a broad array of wetland functions and values. Eric Kraus is the project founder/coordinator and President of Standing Rush, LLC. Eric holds a B.S. in Biology with an emphasis in aquatic ecology from St. John's University (MN) and has nearly 20 years of professional experience in and related to environmental consulting, fish and wildlife management, aquatic ecology, wetland permitting, restoration ecology, botany, and land conservation. Born and raised in northwest Ohio (Maumee), Eric was knee-deep in water and mud from the time he could walk. 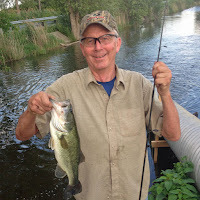 Fishing was his first love, but if it was outside, he was game. He still is. Eric now resides in Perrysburg, Ohio with his wife, daughter, and three sons. Roy Kroll is the Manager for Standing Rush, LLC. Few would argue of a more experienced and capable coastal marsh professional. When the stars aligned for him to join the team, the Bay View Marsh project took on a whole new dimension. Roy has worked in the Lake Erie wetlands conservation sector for more than 35 years and has extensive experience in coastal wetlands restoration, management, acquisition/protection, and research. For 25 years (1983-2008), he managed Ohio's largest private coastal wetland, the 5,000 acre Winous Point. Founded in 1856, the Winous Point Shooting Club is the oldest continuously-operated duck hunting club in North America. Roy directed a staff, graduate-level research program, and an undergraduate internship program and co-authored the book Winous Point - 150 years of Waterfowling and Conservation -- a true "must-read" for any wetland and/or waterfowl enthusiast. From 2008-2013 Roy was Conservation Programs Manager for Ducks Unlimited Inc. (DU) at the Great Lakes/Atlantic Regional Office. His duties included administration and implementation of DU conservation programs statewide in Ohio. He secured more than a dozen wetland conservation grants through the Great Lakes Restoration Initiative (GLRI) or the North American Wetlands Conservation Act (NAWCA) that resulted in more than $15 million dollars being appropriated and used primarily to restore Lake Erie wetlands and watersheds. At Standing Rush LLC, Roy supports a mission that permits his continued contributions to coastal marsh conservation, but with more than a touch of personal nostalgia, if not deja vu. For it was here in 1977 and 1978 at the Bay View Marshes, where Roy conducted his research for an M.S. degree through Ohio State University, School of Natural Resources. 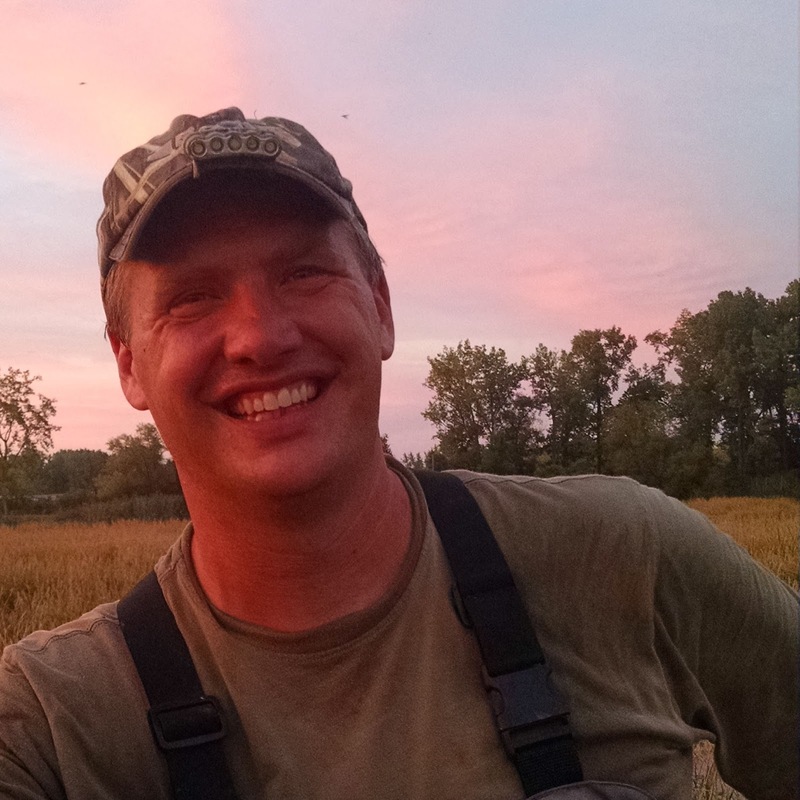 He conducted four research pilot projects the first year and continued a study of waterfowl nesting and production for a second field season, culminating in his thesis. In 1977, Roy and his new bride Barb (also an OSU graduate student) moved into and lived in the building we now use as the field office of Standing Rush. Roy and Barb have more than a few tales to tell of their grad student days here, where up to four other graduate students/friends also lived in formerly adjacent "suites." For starters, Roy and Barb had to drive a mile into the village of Bay View to make a phone call. Times have changed a bit since those days!